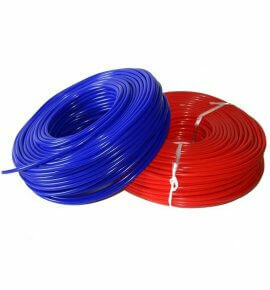 Add to cart price qty 1 is for 3 x meters worth of vacuum line, in options red, blue or black. DSR vacuum line is 3mm thick! It can fit over 3-5mm fittings. It's good material that won't perish or crack! Its bright in colour and ideal for TiAL wastegates and BOV's etc including boost controllers or replacing any OEM (factory) Lines!